VW GOLF GTI MK5 2.0 TFSI ENGINE COVER / AIRBOX AXX BWA. Condition Used. Has a crack in top left corner. Imagine it could be glued or plastic welded from underneath. Will fit Audi TTS 2014 onwards / AUDI S3 8V 2.0 TFSI Engines. 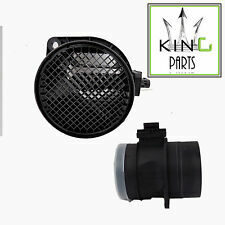 Vw Golf Mk5 Airfilter Box. Condition is Used. Dispatched with Royal Mail 1st Class. Removed from a Mk3 Golf GTI 2.0 16V. Complete air-box assembly removed from a VW Mk2 Golf 8V with Digifant engine. Reversing sensor compatible. VW T5.1 2015 (64 plate) Head Unit. I think that it's compatible with all of the VW range of this age. FM and AM radio. CD player. 3C0129607AS 3C0 129 607AS. Golf PLUS 2009 - 2014. This is a new, genuine part. Part number. Alternative part number(s). Touran 2006 - 2015 . CC 2012 - 2017 . Sharan (7N) 2011 - 2016 . REMOVED FROM A 2015 15 REG VW GOLF MK7 R 2.0 TSI PETROL. EVERYTHING PICTURED IS INCLUDED. It fits the Transporter Caravelle T5, T6. To suit 2.0 TDI. Grab a bargain and get. VW GOLF MK4 GTI. 1.8T 20v PETROL. 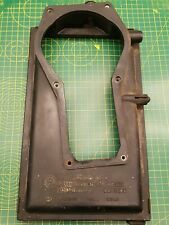 VW & AUDI USED SPARES LTD. AIR FILTER BOX. SUN: 9-12pm. WE DO NOT COVER FOR ANY LABOUR COSTS. 2001-04 MODEL. PA20 / PA41-PA49 / PA60-PA78. Golf Mk5 / Mk6 2006 - 2014 . Q3 2012 - 2018 . Scirocco 2009 - 2014 . Leon (1P) 2006 - 2013 . Passat CC 2009 - 2012 . Passat (B6/B7) 2006 - 2015 . A3 (8P) 2004 - 2013 . A3 Cabrio 2008 - 2013 . FOR SALE IS A USED BUT GOOD USABLE CONDITION GENUINE COMPLETE AIR FILTER BOX REMOVED FROM AN EARLY TYPE 19 VW GOLF MK2 GTI 1.8 8V. PART NUMBER: 5Q0129620B. REMOVED FROM A VW GOLF 1.6 GT TDI 2018 MK7.5. VW GOLF MK 7.5 1.6 TDI. AIR FILTER BOX. THE CAR HAD ONLY DONE 3438 MILES. THIS IS IN GOOD CONDITION AND WORKING CONDITION. GENUINE PART NUMBER : 3C0129607AG;3C0129607AB. VOLKSWAGEN GOLF VI MK6 2009 - 2013. FITS FOR : VOLKSWAGEN GOLF VI MK6 2009 - 2013. NEW AIR FILTER BOX. Fits : Golf MK3 / Vento 1.4 / 1.6. Golf Mk3 (07/94 – 06/95), Vento (07/94 – 06/95). VW Parts International. Includes : 1 x Complete Air Filter Housing for 1.4 / 1.6. Of course it could be cancelled if after the conversation, it turns out not to be a suitable part/product for you. Air filter box with sensors from a vw passat estate 1.7d year 2000 ( W ). good condition. What you see in photos is what you get! PART(S) ARE SOLD IN 'USED' CONDITION AND. A Complete and Perfect VW G60 Rallye Golf Airbox. Undrilled, in perfect condition just a bit dusty from storage. We cater for all cars within the V.A.G. range and many more. GENUINE PART NUMBER : 1K0129607AG. VOLKSWAGEN SHARAN 2.0 PETROL 2010 - 2018. FITS FOR :VOLKSWAGEN SHARAN 2010 - 2018. NEW AIR FILTER BOX. 3C0129607AM / 3C0 129 607 AM. Genuine VW AUDI SEAT SKODA 1.9 TDI Airbox in Good Condition. Golf MK5 2004 - 2008, Eos 2006 - 2008, Golf Plus 2005 - 2009, Jetta 2006 - 2008, Passat B6 2006 - 2008, Touran 2003 - 2008, A3 8P 2004 - 2007. Breaking 2002 Volkswagen Beetle 2.0 Petrol 5 Speed Manual. This item is in good condition. GENUINE USED VW PARTS •. (Always happy to help). Excludes highlands, ireland and islands. Vw transporter T4 Pollen Bonnet Filter Housing Caravelle Early Style 1991-1995. Condition is Used. Dispatched with Royal Mail 1st Class. PART NUMBER: 055129620A. VW GOLF MK2 1983-1992. AIR FILTER BOX AND AIR INTAKE FLANGE. We cannot be held responsible if the item does not fit your vehicle. GENUINE PART NUMBER : 6R0129607C. VOLKSWAGEN POLO 6R 1.2 PETROL 2009 - 2017. FITS FOR :VOLKSWAGEN POLO 6R 1.2 PETROL 2009 - 2017. NEW AIR FILTER BOX. VW Golf 1.9 TDi 115 Mk4. Air Filter Box. Good Used Condition. 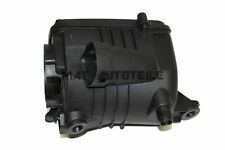 TO FIT ALL VW GOLF MK3.5 CABRIOLET 2.0 8V MODELS YEARS 1998- 2002. 1x GENUINE COMPLETE AIR FILTER BOX TOP AND LOWER SECTIONS WITH HEAT PIPE TO EXHAUST MANIFOLD. We would appreciate the opportunity to help you resolve any issue/s that may occur. great condition only removed for induction kit. GENUINE PART NUMBER : 1K0129622D. VOLKSWAGEN GOLF VI MK6 1.6 PETROL 2009 - 2013. FITS FOR : VOLKSWAGEN GOLF VI MK6 2009 - 2013. NEW AIR FILTER BOX. VW POLO 1.6 BTS E/CODE 2006. (WILL FIT VW GOLF POLO SEAT IBIZA SKODA FABIA ). UNIT 5 CARLUKE ST, FOUNTAIN MILL, BLACKBURN, LANCASHIRE, BB1 3JR, ENGLAND. AIR FILTER HOUSING. ALL OF OUR PARTS ARE SECURITY MARKED TO SAVE ANY MISUNDERSTANDING. (3) As a result of fire or theft. 2) Fault or failure of an ancillary component, for example a radiator, timing belt, water pump, fuel injection system, turbo, coolant, gasket, hoses, etc. We cannot be held responsible if the item does not fit your vehicle. Part Number : 6R0 129 618 A. Part Number6R0 129 618 A. Model : Polo. VW Accessories. VW Body & Interiors. VW Electrical Systems. VW Exhaust Systems. VW Engine, Clutch. FOR SALE IS A USED BUT GOOD FULLY USEABLE CONDITION AIR FILTER BOX REMOVED FROM A VW T25 TRANSPORTER. PART NUMBER IS 021 129 607 H. AIR FLAP IS WORKING. YOU GET EVERYTHING IN THE PICTURE. 01728 685027. Here we have for sale: VW Golf MK7 12-18 3DR Front Right OSF Door Module 5Q0959593D. Part Number: 5Q0959593D. Model: VW Golf MK7. Information: Good Condition. Pictures taken are of the actual item you will receive.